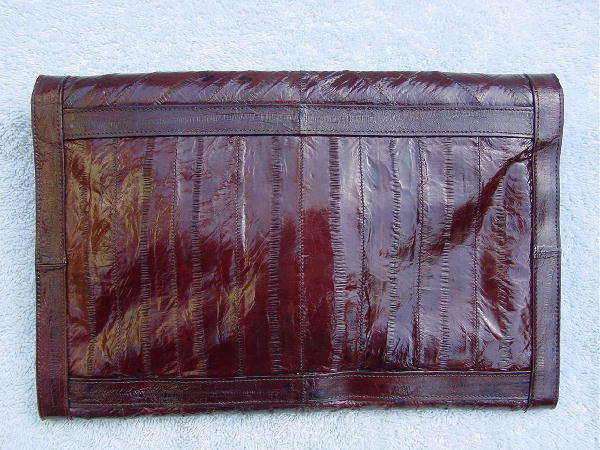 This vintage dark brown eelskin purse has an envelope styling with a magnetic snap closure under the front flap. 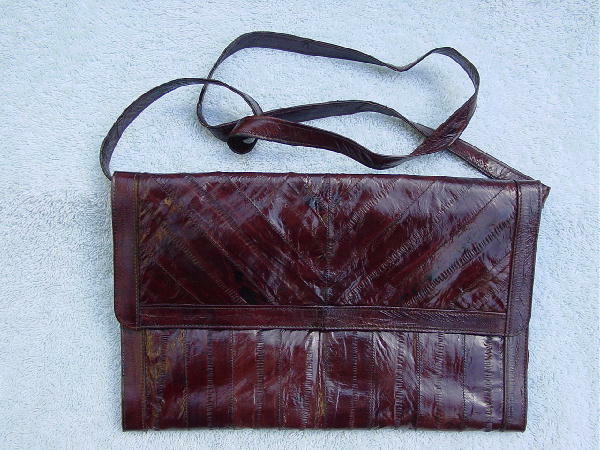 The flap has a diagonal eelskin pattern and the front and back have a vertical pattern. 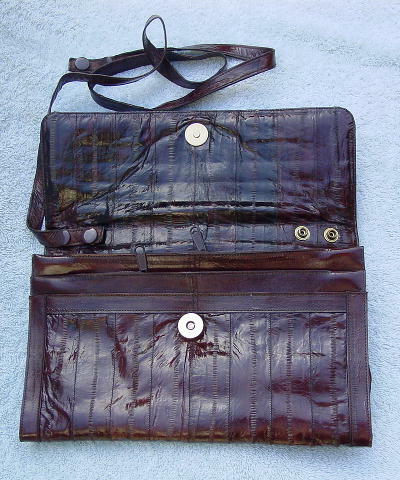 It has a 34" long detachable eelskin shoulder strap, so you can carry it as a clutch if you want. The strap is attached to the interior of the flap by 2 brown snaps on each end. There are 5 interior sections, two of which have zippers. The brown fabric lining has a tone-on-tone diamond pattern.